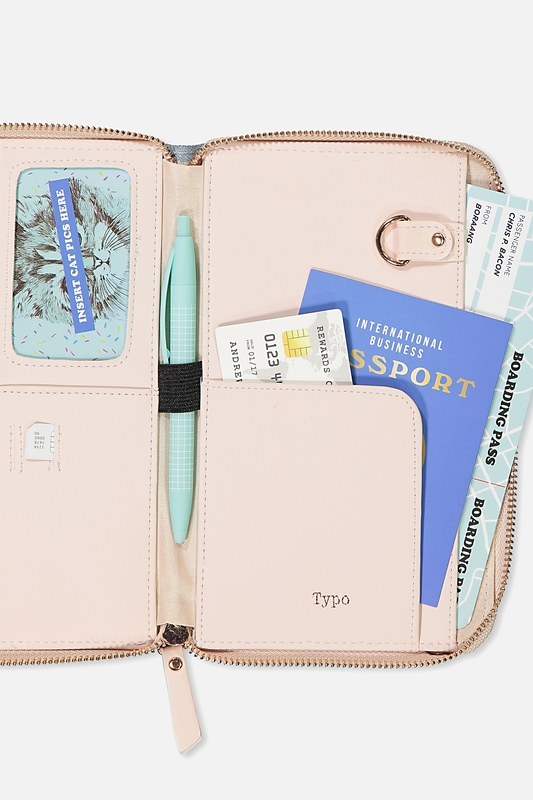 Are you a ‘travel document wallet‘ kind of traveler? I wasn’t…BUT I have recently been converted and am now embracing the ease of the organisation. a spot for the boarding passes to slot into. This is a great all rounder. It retails for $50 at Anaconda and can fit so much inside including your passport, tickets, credit cards, cash, maps, phone & camera. The handy twin compartment design is very easy to use and it has an adjustable shoulder strap. The Caribee also has RFID Protection in the rear zip compartment that protects you from identity and scanned credit card theft. 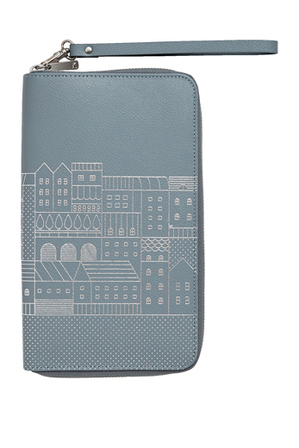 To add complete style to the equation, Mimco have a travel wallet called the Daydream. It is all leather with their signature rose gold hardware and retails for $199.00. Unzip this clever wallet to reveal a multitude of pockets and handy compartments. This one from Kikki K is very cool. It has the much loved zip all the way around, and includes pockets for documents, passports, boarding pass, cards and has a pen loop. There is also a detachable leather wrist strap. 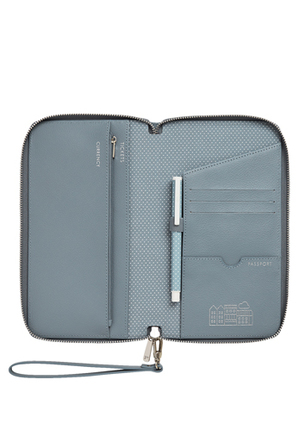 This particular one is $69.95 and is available at Kikki K stores or Myer. 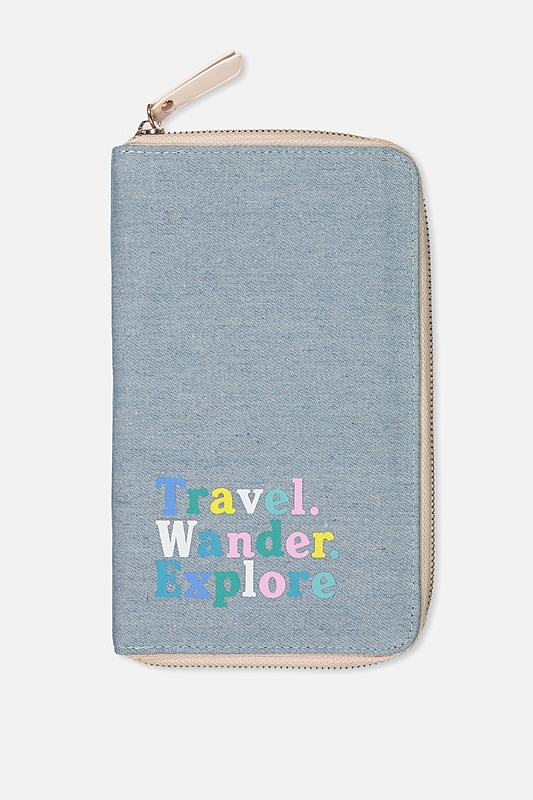 This multi-zip passport case is available from Fossil and retails for $149.00. It is made from high-quality leather that is soft and wears well over time. It is available in brown or black. This groovy one is available from Typo and comes in 10 different colour and pattern variations. It is only $29.95 and has all the essentials. 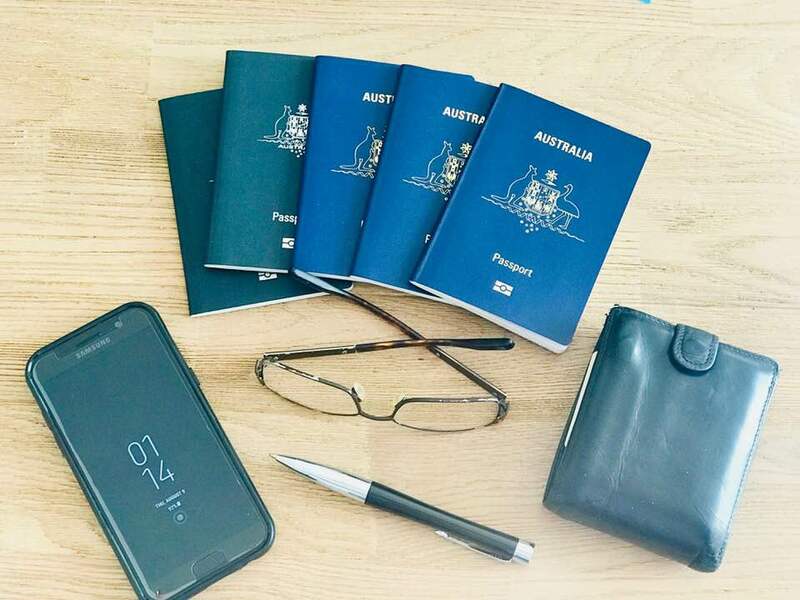 So if you don’t currently travel with one of these beauties, do yourself a favour and get one for your next trip – they are super useful and keep all your important things safe and secure.